Commercial Property Developer, Knight Property Group, has diversified from their current industrial and office builds with their new speculative development at Kingshill Commercial Park. In addition to Unit 6, the commercial park’s new style speculative industrial units, Knight Property Group have almost finished Unit 5 which has an open/ retail consent and consists of 2,700 sq. ft. which is capable of sub-division to units of 900 sq. ft. and is due for completion in September 2018. It is constructed to shell specification and ready for incoming tenants fit out. Knight Property Group Director, Howard Crawshaw commented “Westhill is a bustling hub of both residential and commercial. Already known as the centre of excellence in subsea engineering, more and more businesses across different industries are also looking to move out of the city centre and into this prime location. Knight are constantly looking to spot opportunities and with both Kingshill Commercial Park and Kingshill Park home to many tenants, it seemed a good fit to offer a different type of unit from our other builds. David Henderson, Surveyor at FG Burnett acting jointly with Savills commented: “Kingshill Commercial Park has seen great success over the years between bespoke builds for the likes of Tendeka and Power Jacks as well as speculative builds. 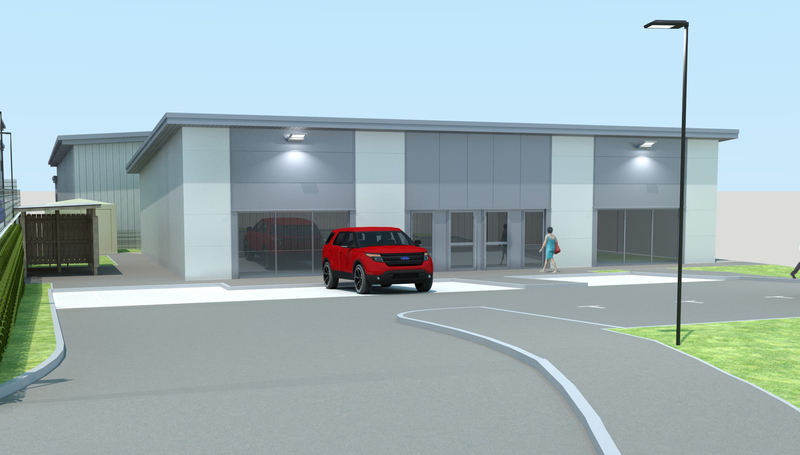 With Knight Property Group recognising there is a strong need for a different type of commercial build, Unit 5 broadens the supply and brings more opportunity to operators to locate themselves in Westhill. Kingshill Park and Prospect Park, both owned and developed by Knight Property Group are neighbouring developments to Kingshill Commercial Park. The three developments see a range of tenants from oil and gas specialists to home builders and serviced office provider BlueSky Business Space.